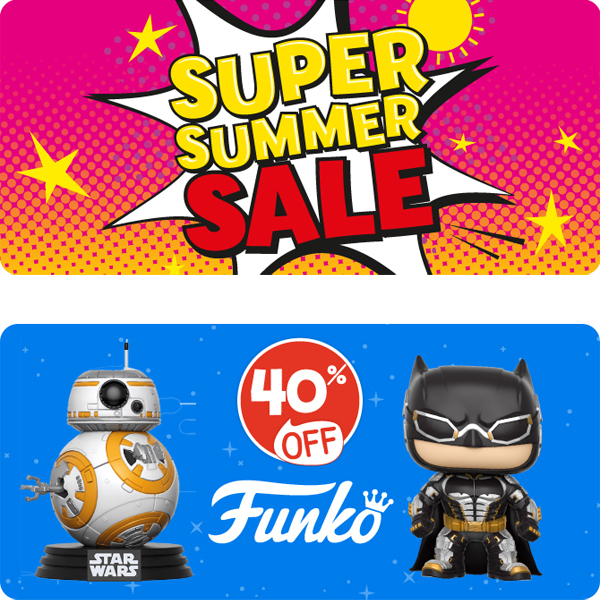 The Summer Sale is now on in-store at The Entertainer bringing you mega-savings on loads of top toys, including Star Wars, Funko, Nerf and Lego! Shop the Summer Sale and save up to 50% on selected Marvel toys, up to 40% on Funko items so you can grow your collection with ease. You’ll also find plenty of toys for under £10.